Megan Fox Engaged To Brian Austin Green. Again. Ugh, I don’t even know why I’m reporting this honestly. Megan Fox is about as interesting to me as watching paint dry. And she seems like a really high maintenance girlfriend which totally bugs. 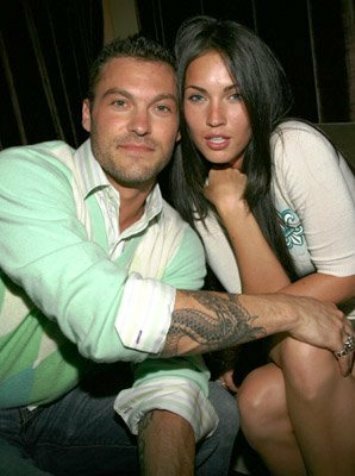 But anyway, in case you care (not that there’s anything wrong with that) Megan Fox and Brian Austin Green are officially engaged. Again. The couple, who have dated on and off for what seems like forever but has really only been five years, were engaged once before but broke it off around February 2009. Since then, it’s been anyone’s guess if Fox and Green were together or not. A representative for the ‘Jonah Hex’ actress said: “Yes, she is engaged.” Rumours that Megan and Brian had got engaged again have been circulating for months. Hey man, I callz ’em like I seez ’em. 50 queries in 1.064 seconds.